INXY – dedicated servers, CDN, cloud solutions: Why PoP count is not always crucial for CDN? INXY is the unique marketplace where you can choose the right dedicated server for your needs, connect to content delivery network or find ideal solution for storage and backup (cloud storage). Why PoP count is not always crucial for CDN? The choice of CDN depends on many factors, and the number of PoPs is one of them. Being the link between users and CDN, PoPs are located in mission-critical places to bring content to users effectively. Quite often, companies regard the number of PoPs as indicator of hosting quality. But while PoP itself makes up for faster loading, its excess is also no good. When the more PoPs is the better? When More PoPs Doesn’t Matter? Not every company needs an expensive CDN with hundreds of PoPs and customization options. If you need presence in a few regions, you only need to choose a network that has points of presence in these very regions. The closer to visitors – the better. Extra PoPs in regions you don’t serve won’t make the difference. 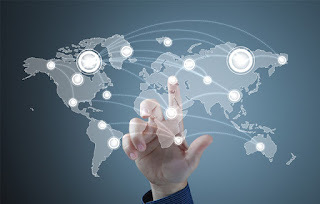 A third party CDN, or their combination will be a cost-effective and reliable option. These two factors should be taken into account when evaluating CDN infrastructure. What matters is the relation to users, not the number of PoPs. Prior to ordering a CDN, make sure that it features PoPs only where you need. In most cases, users overpay for extra servers, because providers usually have them everywhere. Find a CDN solution that is relevant to your target audience. This way, you will make sure that every dollar spend is worth: you build up a reliable and effective network that works for YOUR company. Most CDNs are tailored to deliver static files, while dynamic content is hard to cache, so users are often redirected to the origin server. That limits the advantages of CDN and causes waste of efforts when CDN always tries to replicate data over PoPs. Therefore, if you have need acceleration of dynamic content delivery, choose CDN solutions created especially for that. Why eCommerce sites need low latency CDN?